Nothing says springtime like chirping birds! 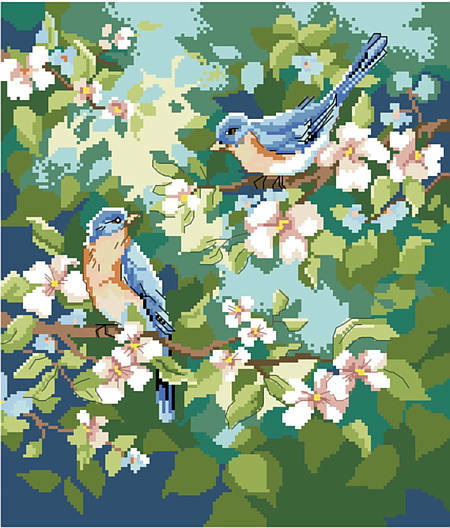 This vibrant pair of feathered friends rest happy on their cherry blossom tree. An accent piece that any bird lover will adore. The perfect housewarming gift, birthday gift, appreciation gift, and more. Contents: Stitch count 142w X 166h. Finished size on 14-ct fabric 10-1/8" X 11-3/4"